WASHINGTON, DC — With one of pop music’s most profound voices performing during a ceremony that included a video tribute featuring tributes from a mayor, a congressman, a school superintendent and a university president, Tennessee Tribune Publisher Rosetta Miller Perry clearly was the star of the night. 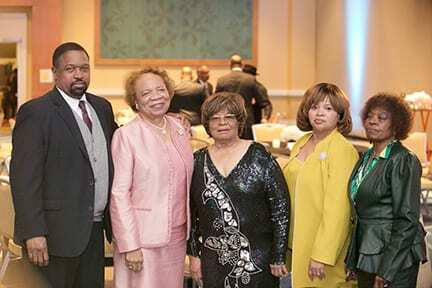 On Friday, Jan. 25, Perry received the National Newspaper Publishers Association (NNPA) Lifetime Achievement Award before a festive and appreciative gathering at the Hilton Orlando Hotel during the NNPA MidWinter Training Conference in Florida. “Two years ago, it was Bob Bogle being honored from the Philadelphia Tribune and last year we saw Rod Doss of the New Pittsburgh Courier receive the Lifetime Achievement Award,” Perry said. “Tonight, it’s Rosetta Perry. Maybe there’s something to it… three great publishers all from Pennsylvania,” she said, noting her tie to the Keystone State is in the fact she was raised there. Perry thanked her fellow publishers for the distinguished recognition, one that she said she’s glad it happened now. While the comment brought laughter and applause, Perry said the NNPA – the trade organization that consists of about 215 African American owned newspapers and media companies around the country – needs to work harder toward a younger leadership. 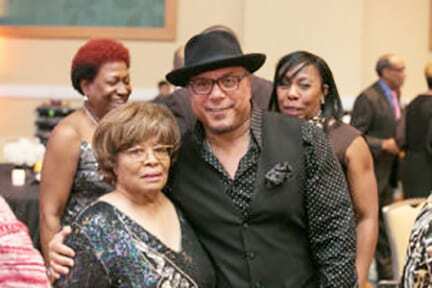 Perry and R&B Legend Howard Hewitt, Hewitt performed several of his hit songs to toast Mrs. Perry. “The young ones are talking about building relationships and that’s what’s needed,” said Perry, who toned down the festive atmosphere a bit to ask all to keep Mississippi Link Publisher Jackie Hampton in their thoughts. Hampton abruptly left the conference after receiving devastating news that her mother passed away. 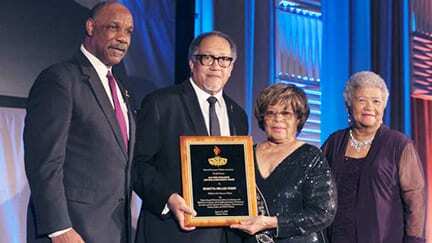 Crooner Howard Hewitt belted out several of his hit songs to toast Perry while NNPA President and CEO Dr. Benjamin F. Chavis, Jr., and NNPA Chairman Dorothy R. Leavell, also feted Perry with congratulatory words. Westside Gazette Publisher Bobby Henry and African Union Permanent Representative to the U.S., Her Excellency Ambassador Dr. Arikana Chihombori-Quao also praised Perry. After jokingly speaking about Perry’s abilities as a nurse in which she’s able to “embalm people,” Henry praised his fellow publisher. “Rosetta Miller Perry is ever acclaimed for all she did during Civil Rights with Dr. Martin Luther King, Rosa Parks [and others],” Henry said, prior to a video tribute that included congratulatory remarks from Nashville Mayor David Briley, Democratic U.S. Rep. James Cooper, Metro Nashville Public Schools Director Dr. Shawn Josephs, and Tennessee State University President Dr. Glenda Glover. A retired U.S. Navy officer and lawyer by trade, Perry has enjoyed much success over the past three decades as publisher of The Tennessee Tribune, a newspaper that reaches more than 150,000 people each week. A graduate of Memphis State University, Perry recently was named among the Top 10 Most Powerful African Americans of 2018 by the Nashville Voice, a popular Music City publication. Raised in Coraopolis, Pennsylvania – a melting pot of Russians, Polish, Italians, Greeks, African-Americans and others – during an era when steel was an important part of American Manufacturing, Perry not only grew up near the Allegheny River, but spent her first four years on her aunt’s houseboat. She’d become an avid reader of newspapers and magazines, particularly the Black Press where, since childhood, the Pittsburgh Courier was a personal favorite. Perry has often said she noticed a trend in mainstream publishing towards sensationalism and a focus on crime and negative events, particularly as it related to Black people. “I knew as a young Black woman it was something that could be corrected through ownership and control of our image, reporting and news coverage,” Perry said. She and her husband, who counted as Tennessee’s first Black gastroenterologist, founded Perry and Perry Associates in 1990. After founding the Tribune to focus primarily on health, education and voter registration, Perry and her husband made a conscious decision not to spotlight crime, and to report positive events and focus on success stories and personalities in the Black community. They did so without ignoring either the problems or the tough issues that minority communities face each day. On the night she’s honored, Perry said she also was preparing for “a major announcement” involving the future of the Tennessee Tribune. While she didn’t reveal specifics – only that the announcement will be made in Nashville on Feb. 1 – Perry left with a promise.